A cherubic little girl walks serenely down the church aisle, lightly scattering rose petals from a basket clutched in her chubby little fist. 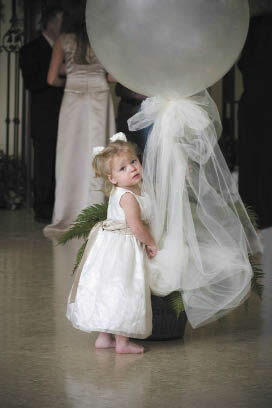 A sweet and somber little boy reverently carries an elegant pillow bearing the sparkling wedding bands. That’s plan A. Here’s plan B. A taffeta-clad toddler steadfastly and loudly refuses to walk down the aisle despite the artful combination of threats and bribes being offered by her desperate mother. A sweet preschooler with curls dumps out all of her rose-petals on the first step and hurtles down the aisle as if she’s at some sort of Olympics try-out. A nervous tuxedo-clad lad who announces, while standing at the altar, in a silent church, that he has to go potty. Now. Both plans are, to some brides, delightful. To others, plan A is the only one with charm. When deciding whether to include children in your wedding party – or even at your reception – first you have to figure out which kind of bride you are. And it’s OK to be a Plan A bride. There’s no shame in wanting your special day to be free of grubby hands on your white gown and crying during your painstakingly written vows. It’s OK to serve poached salmon instead of chicken nuggets. 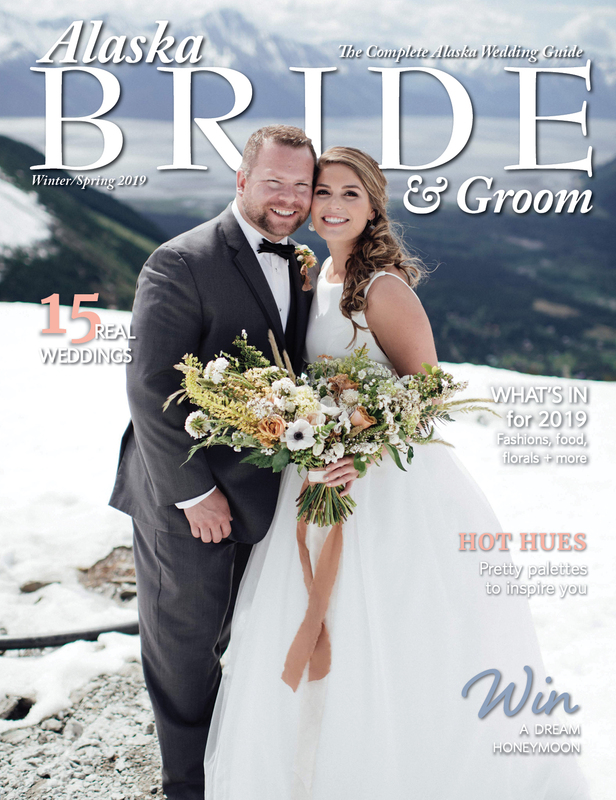 “Some people truly feel that this is more of an adult time,” says Catherine Moore of Start to Finish Wedding & Event Planners in Chugiak. It’s perfectly OK to choose an “adult affair over a family affair,” she says. But if you are a Plan A bride you can still be a hero to knee-high-and-under-crowd and to their parents, says Shawn Williams of Five Star Entertainment. “You can set up a separate room at the venue for the children to play,” he says. Parents can check in from time to time and they needn’t struggle to find an at-home sitter. “This is a big trend and it’s really fun for the kids.” You’ll need videos, coloring books, some snacks, and a couple of entertaining babysitters, he says. This feels special and celebratory for the kids and it allows you to have the grown-up sophisticated event you dreamed of. And what if you’re a plan B bride? Say some of your favorite people aren’t even in kindergarten yet and you can’t imagine the day without your niece and nephew, or your best friend’s toddler clutching a bouquet. Now’s the time to make a few plans. Even the best-behaved children in the world will need supervision, says Moore, who often hires her own teenage daughter to assist at receptions with a high percentage of kids. Consider hiring, or appointing, a kid coordinator – someone who can help initiate things with the kids – assist them with the buffet, keep them quiet and engaged during the toasts, and coordinate kid-friendly dances in conjunction with the DJ. Often, says Williams, it’s the kids who hit the dance floor first. “If there are kids on the floor,” he says, “heck, I’ll cater to them. It gets their parents involved,” he says. “That amps things up a bit.” He might pull out some family-friendly crowd-pleasers like Rascal Flatts’ “Life is a Highway” from the Disney movie “Cars” or “I’m a Believer” by Smashmouth from the “Shrek” soundtrack. He always takes shots of the kids first during photo sessions and still gets some itchiness. But, he says, he doesn’t mind.